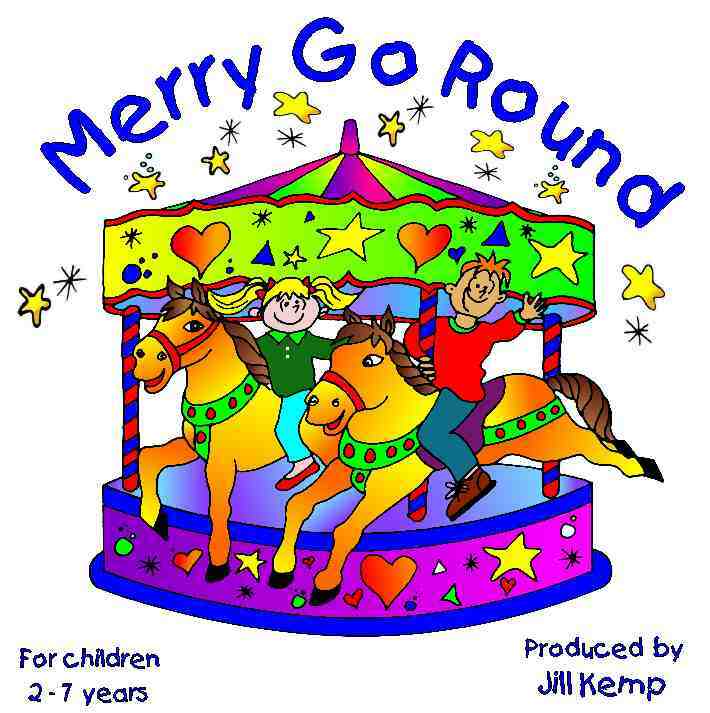 Merry Go Round Song Book. By Jill Kemp. 40 minutes. 2 - 7 years. Making learning fun using interesting music with clear lyrics. Not too fast for young children to sing to. lateral thinking, co-ordination and basic maths concepts beyond sequential counting. Children learn through music and these songs work well in small or large groups. are exceptional and appealing to children. Setting a new benchmark in children's music. Fun music with a purpose. Parents, Early Childhood Educators and Junior Primary age. Word Sheets with actions are avalible for free downloads. click on earphones for music clip. Imagine riding your horse on a Merry go round - hold hands with your partner. Role playing a carnival. Extending vocabulary. What is it like at a carnival - rides to go on. Smells - things to eat - popcorn & ice-cream are in the chorus. just with their partner and move around and up and down. Octopus ride arms up and down and turn around. Extends imagination and vocabulary. Could be great in a production. Water safety groups encourage young children to use flippers with bogie boards. Children imagine they are surfing. Move continually to this great beat - almost like a dance. Dad had two! Dancing between verses. Have class make fish and chip parcel in newspaper. Clap Chorus. Bob in boat -sitting song. Language - discuss fishing - what you need, what would use use for bait etc. where you can fish - rocks, beach, wharf, boat, creek etc. Safety issues. Cooking fish - how? Healthy eating. * A favourite with boys! hop twice on the other foot - you CAN skip! . Teddy Bear Picnic. Tall and short, fat and thin, growls and squeaks etc. what will we need to take and don't forget teddy. 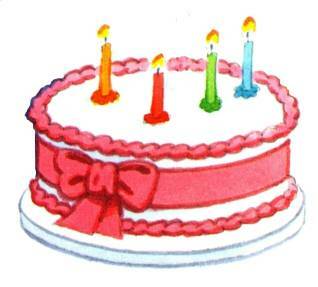 Its is a birthday party picnic we will need a birthday cake with 4 candles. clicking fingers, strum ukulele, wait for shakers, hula. Left and right. Vocabulary extension - ocean etc. *Hands behind back - one hand "walks" out at a time. 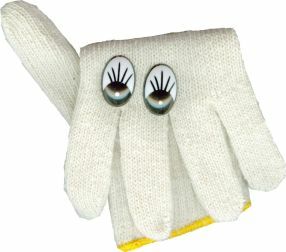 Use glove with eyes just above middle finger. * Days of the week. Circles - half of two is one - sharing. Clip art pictures available. With partner - bean bags, balls, socks whatever! * Shapes - imagination. Model shapes on paper or white board first, then draw in the air. Older children sit need partner and sit - young ones lie down and parent draws. Children can draw the picture from their imagination to paper. Sit down and "bump", screwing and un-screwing and jacking up -timing for "toots". *Can be used with scarves, lycra, parachute etc. Teaching children the skill of looking for something! Fun to hide socks in class as per song and have washing basket etc. Strategy to find things where can we look? extending vocabulary - introducing weekend. *Fun action song using spots and dots, stripes and lines. Cell phone courtesy. Children can make a cell phone learn own numbers. 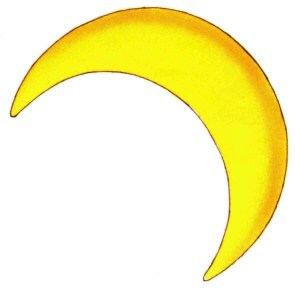 up picture of moon - what do you see in the sky? Whoosh to moon - reverse pictures. 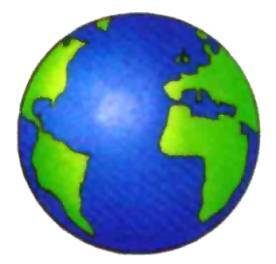 * Ideas to discuss - where we live- earth, world, space etc. what will you wear; what colour is your space ship; what can you hear? When you sit on the moon - the earth! It gives an amazing experience of perspective. They can then do the song with floating moon jumps etc. The sound effects on this song are amazing with incredible engineering. Extends vocabulary too. Teacher can show how the moon changes shape by passing earth in front of a round moon. * Trendy music children will love and fun lyrics to encourage and inspire healthy eating. Music for modern dance moves.